The first six aircraft to be supplied to Conair under its airtanker teaming agreement with Bombardier Aircraft will be modified to incorporate Conair’s proven Retardant Delivery System and interiors to accommodate passenger, cargo, combi, and medivac requirements. Enhanced Q400 Multirole aircraft will join Bombardier’s fleet of over 1,000 specialized aircraft operating around the world. 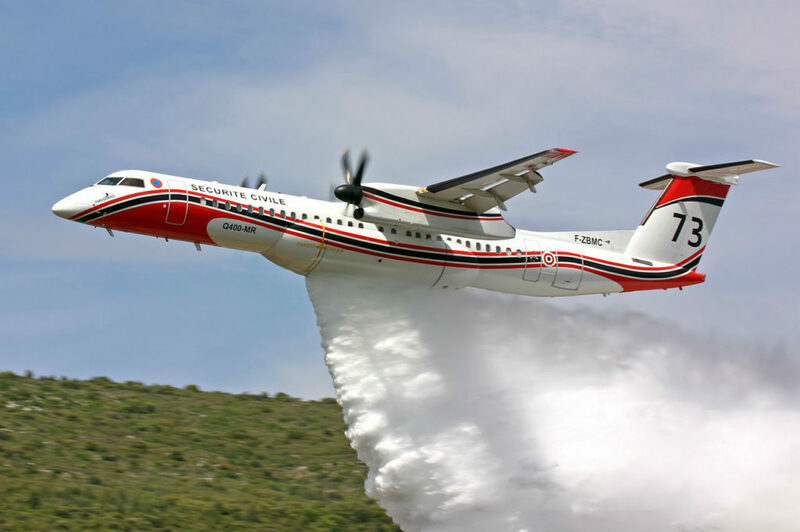 Bombardier Specialized Aircraft announced that Conair Group Inc., the world’s leading provider of fixed wing aerial firefighting aircraft, has purchased six Q400 aircraft. Based on the current list price, the firm order is valued at approximately $206 million US. Conair operates the world’s largest fleet of privately owned fixed wing airtankers and supplies specialty aerial firefighting aircraft and products worldwide. These six Q400 production aircraft will be modified to incorporate an enhanced version of Conair’s proprietary Retardant Delivery System. In the Q400 Multirole configuration, the retardant tank can be removed and reinstalled in the field in a few hours. This enables the aircraft to efficiently perform additional roles in emergency response, passenger and cargo transport, medivac, and coastal patrol without compromising its exceptional firefighting capabilities.